Perhaps no figure is more responsible for the reception of the legend of al-Barraq Ibn Rawhan and Layla Bint Lukayz as history than the 19th-century Lebanese scholar Louis Cheikho (1859-1927). He produced two works of scholarship that were pivotal in this regard: Kitāb Shuˁarāˀ al-Naṣrāniyya (Book of Christian Poets), vol. 1(Beirut, 1890) and Riyāḍ al-Adab fī Marāthī Shawāˁir al-ˁArab (Literary Gardens of the Laments of Arabic Women Poets) (Beirut, 1897). Many modern sources on Layla Bint Lukayz cite these two books. In his Book of Christian Poets, Cheikho assigns a death date of approximately 483 CE (1890, p. 148). His attempt to locate her precisely in pre-Islamic history would seem to lend a certain authenticity to her persona. However, the sources that he lists at the end of her entry as well as at the end of al-Barraq's entry do not pan out. For example, he suggests that he draws on Ibn al-Kalbi's Jamharat ansab al-'Arab, but he seems to have confused this for the actual source--a set of tales attributed to a certain Dhu'ayb Bin Nafi' and appended to al-Qurashi's Jamharat Ash'ar al-'Arab. By the time he publishes the Gardens of the Laments in 1897, he cites his sources with precision and accuracy, but he still does not question their historical value, and he presents the life of Layla Bint Lukayz as fact rather than fiction, despite the fact that his sources are all relatively recent and that she does not have an ancient presence in the literature. 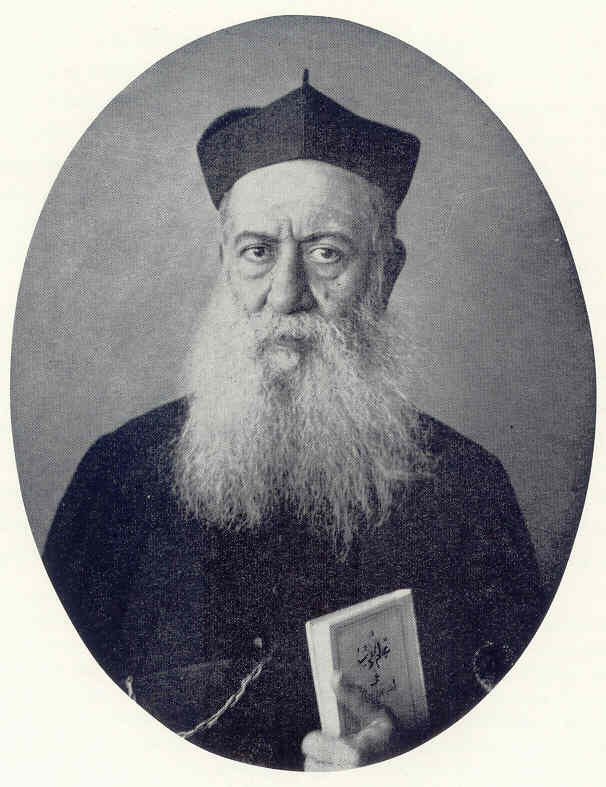 Also worthy of mention is Iskandar Abkariyus (1826-1885). He authored what were two key sources for Cheikho. The first was Rawdat al-adab fi tabaqat shu'ara' al-'Arab (Beirut, 1858), a kind of biographical dictionary of poets. (Cheikho abbreviates the title to Tabaqat al-shu'ara' and makes no reference to Abkariyus, which may cause one to confuse it with Tabaqat fuhul al-shu'ara' by Ibn Sallam al-Jumahi). In his ten-page entry on al-Barraq Ibn Rawhan (49-59) Abkariyus states that he is a poet of the second class, as are, for example, al-Khansa' and al-Shanfara. The second work is entitled Tazyin nihayat al-arab fi akhbar al-'Arab (Beirut, 1867). This book, to which Cheikho refers simply as Tarikh al-'Arab, contains a version of the al-Barraq Ibn Rawhan legend (211-300). Louis Cheikho and his predecessor Iskandar Abkariyus are not the only scholars to imbue the legend with a certain truth value. One finds the eminent scholar Jurji Zaydan (1861-1914) also lending credence to the tale. Zaydan does not approach the text naively, at face value, but rather he situates it within the narrative genre of the sira, that is the romance or epic, comparing it to its more famous counterpart, the Sirat 'Antar (The Romance of 'Antar), which is based on the life of the pre-Islamic poet 'Antara Bin Shaddad. In his Tarikh adab al-lugha l-'Arabiyya (Cairo 1912), Zaydan compares the two narratives and determines that the language of the tale of al-Barraq is more correct and closer to the style that was prevalent in early Islam and that the tale contains less exaggeration than the Sirat 'Antar (p. 294). He therefore concludes that it was written down before Sirat 'Antar by more than a century--its earlier provenance meaning that it contains fewer distortions than tales preserved through oral folklore. Zaydan does not seem to doubt the existence of al-Barraq and Layla. It is not my intention here to give the outline of it, but I wish to call the attention of the reader to the method of treating the subject, which is peculiar to the Arabs and constitutes their epos. The narrative is in prose, whose only charm is its great simplicity, and it forms only a small proportion of the work. The greater part of the story consists of speeches, disputations, and monologues, which are all in verse and not without poetical beauty. They are always dignified and contain noble passions, and much wisdom. Thus, while Sprenger does not present the story as 'true', he does imbue it with a cultural authenticity. He, too, implies that the legend is ancient. It is important to acknowledge that all pre-Islamic Arabic poets are in some sense legendary, and it is impossible to ascertain their historical veracity. Indeed many Orientalist scholars as well as some Arab ones, most notably Taha Husayn (1889-1973), suggested that the vast majority of the pre-Islamic poetic corpus was suspect, and probably a fabrication of a later era. The difference between the status of Layla Bint Lukayz and al-Barraq Ibn Rawhan and the status of poets like Imru' al-Qays and Labid is that in the latter case, while we cannot confirm their historical existence we can confirm that their legend is ancient. Their legends were already in circulation by the time their verses were recorded in the 9th and 10th centuries, CE. The legend of al-Barraq Ibn Rawhan and Layla "the Chaste," on the other hand, is absent from this classical tradition. Thus far I have not been able to find a source that predates the 18th century.